Could the follow up to one of Nintendo's best video games ever live up to the hype? In the case of Super Mario Galaxy 2, the answer is a resounding "YES!" The game begins as expected. Princess Peach has been captured by Bowser and its Mario's job to rescue her. Like the earlier game, Mario must collect shining stars to get to the end of the game. Different levels and challenges are awarded with these stars. You'll see plenty of traditional Mario characters and features that many of us have come to love over the years, but don't let that fool you. This is a modern game with incredible graphics, controls, and game play. The graphics and controls are nearly flawless. The game is both easy to follow and use, but also a challenge to the experienced gamer. Each level is different and will often take learning a new skill or power up to win. The variation in play is astounding. Most levels end in a different boss battle adding to the adventure. The graphics are beautiful rendered 3D. The characters, monsters, and scenes are fun and engaging. To keep things entertaining, some portions of the game go old-style 2D. This may sound too retro or boring, but these levels offer a fun change. 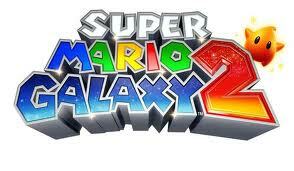 Super Mario Galaxy 2 can be played and enjoyed by most any age gamer. The harder levels can be quite difficult and the game will provide hours of great play for even the most skilled gamer. However, beginners will enjoy the game as well. It's not difficult to master the lower levels and the controls are not too complex. Super Mario Galaxy 2 video game for Wii is rated E for everyone. Lots of new and interesting power ups make the game even more fun and challenging. You will need to be clever in your use of power ups to win the most difficult battles and move on to the game's final levels. Super Mario Galaxy 2 is an excellent video game. And don't just take our word for it, the game was rated 10/10 by many of the video game sites on the web including Gamespot, IGN, Videogamer, and Gamervision.